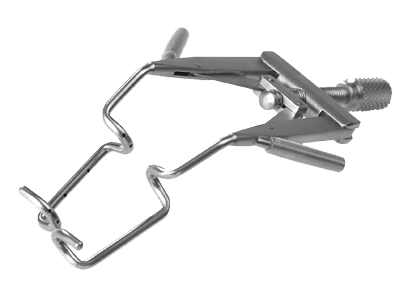 An adjustable, open-bladed speculum for all types of ophthalmic surgery. Supplied with silicone tubing and luer-lock adapter. (not shown).